Kansas City, MO — April 1, 2018 — The National Agri-Marketing Association (NAMA) has named Calvin Ernst, Founder and President of Ernst Conservation Seeds, as the 2018 Agribusiness Leader of the Year. This award, which is NAMA’s highest honor, recognizes outstanding leadership in private, public or academic service and is conferred each year to a senior agribusiness executive who not only exemplifies excellence in agribusiness, but has also made significant contributions to the industry. Now in its 18th year, the award will be presented at the 2018 Agri-Marketing Conference, April 11-13, in Kansas City, Missouri. 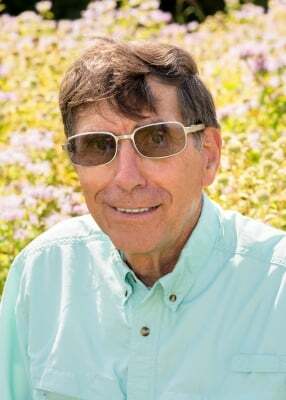 Calvin Ernst has always believed in the need to continually educate himself and others on best practices, to study the future of agronomy and foresee opportunities to diversify and meet future demands. He has been invited to events across the world to speak about the greater conversation within the industry, including eastern Europe as part of the People to People exchange program in order to study a diverse agricultural practice; and China, where he helped promote inter-cropping perennial legumes with annual grain crops in order to reduce crop inputs and erosion. He soon began collaborating with federal agencies, highway departments and land developers to establish wetlands and meadows using native seeds, and teaching these groups how to install bioengineering materials for soil stabilization. He has accomplished much in an industry that he largely pioneered, all while keeping a fearless work ethic and willingness to invest his time and efforts for the industry. Ernst had witnessed firsthand the potential of crownvetch for erosion control while living and working in the greenhouses at Pennsylvania State University. His gut told him this legume held great commercial potential. Back then, in the mid-to-late 1960s, the massive U.S. Interstate Highway System was being built and suddenly, there was high demand for effective cover crops to revegetate rights-of-way and highway medians. Much of Ernst Crownvetch Farmsâ€™ key growth occurred during the ensuing years, thanks largely to the relationships being cultivated with highway departments and government agencies involved with the interstate system. By the 1980s, the crownvetch market collapsed. Ernst then shifted almost his entire product offering to native plant seeds, then changed the name of his company to Ernst Conservation Seeds in order to solidify its shift in philosophy. The company soon began specializing in custom mixes for wetland mitigation, restoration and wildlife habitat. It later added bioengineering – or live plant materials – for stream bank restoration and other uses. What began as five acres of crownvetch now includes nearly 10,000 acres of native grasses and wildflowers. Ernst Seeds currently grows hundreds of native and naturalized species for seed production and limited live plant sales. The staff has grown to nearly 90 full-time employees. Ernst and his company continue a mission to identify and locate native species with restoration and conservation value that can be cultivated into mass production. Ernst has received considerable recognition during his career, including the Atlantic Seed Associationâ€™s Honorary Seedsman Award; the American Agriculturist Master Farmer award; the Governor Raymond P. Shafer Distinguished Service to the Community Award; Pheasants Forever Outstanding Support Award; the USDA-NRCS Plant Materials Program Special Service Award; Friends of French Creek Farmer/Landowner of the Year; Gannon Universityâ€™s Small Business Award and Crawford County Council of Farm Organizations Ag-Industry Award for Outstanding Service to Crawford County Agriculture. NAMA is the nation’s largest association for professionals in marketing and agribusiness. NAMA has been encouraging and recognizing excellence in the industry for 60 years through initiatives such as Agribusiness Leader of the Year, Ag Association Leader of the Year and the NAMA Marketer of the Year. For more information, please visit nama.org or contact Jenny Pickett at (913) 491-6500 ([email protected]). Founded in 1964, Ernst Conservation Seeds specializes in native and naturalized seeds and plant material of eastern North American ecotypes, cleaned and tested to USDA standards. Ernst supplies the highest quality seeds, mixes and bioengineering products for restoration, reclamation and conservation applications. Visit www.ernstseed.com or contact Randy Ferguson at (814) 336-2404 for more information.